For the record, these two phones are, officially, only available in China and the Asia Pacific. They can be purchased online and shipped to Europe hassle-free though and we think the build and features for the price will get enough people interested. Priced below $400 and $500 (a few freebies thrown in the bundle as well, including a flip case and a car charger), these are viable alternatives to current flagships - most of which will fetch the same price in euro. That's the 64GB versions, mind you - the models with 16GB of inbuilt storage are well cheaper. OK, you'll need to do your own math. Neither has a microSD slot, nor can they match the high-end features of rival flagships such as advanced sensors, waterproofing, QHD screens and such. Shipping costs will add $20 to $50 to the bill and getting your device serviced could be a hassle. If it still comes in cheaper or you're in it for the novelty, Xiaomi will not disappoint. You can count on flagship-grade build quality, good looks and top-notch hardware, including capable cameras. There are downsides as well that some will even consider deal-breakers. For the sake of this comparison though we should note that the major disadvantages are shared, such as the lack of a microSD card slot and non-exchangeable batteries. The loudspeakers are generally quiet and the audio quality is good, but not great. 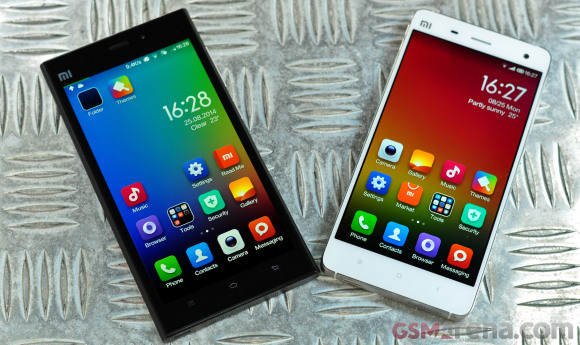 We experienced some overheating too, the Xiaomi Mi 4 seemingly more affected. Which one should you choose then? Strange though it may sound, if you only have enough for the 16GB version, the Mi 3 looks like the better option. With this much storage, the last thing you need is heavy video files of ridiculously high resolution. If there's no 4G network where you live, it's a no brainer. Not least, the Mi 3 has the more sensible (and equally premium) design and is no worse performer - you're welcome to give those benchmarks another look. The Mi 4 on the other hand has enough to offer upgraders - especially if you have a use for LTE connectivity and 4K videos. If the 64GB version is within reach and you can tap into a 4G network, the Mi 4 is making a lot of sense. Plus, a heavy multitasker will at the very least find extra reassurance in those 3GB of RAM. The exchangeable rear covers are a nice little touch, along with the IR blaster and the high-res selfie camera. 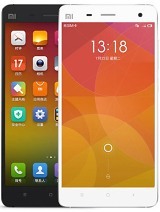 We'll say it again, with the Mi 4 so keen to emulate the iPhone, you risk having your reasons questioned. 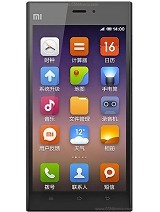 Maybe it's pure luck that the Mi 3 is simply following a less popular example. Anyway, the bottom line is you'll be getting value for your money whichever you choose. And although the price is always an important factor, it's by far not the biggest virtue here. 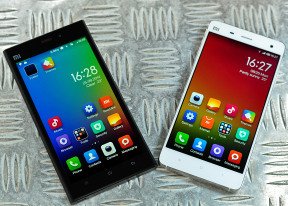 Xiaomi did well two generations in a row - a Chinese maker to definitely keep an eye on.